Imagine the freedom, energy, and confidence that comes with a smile you’re proud of without the discomfort or anxiety of having to go to the dentist. Wouldn’t that be amazing? Dental health is our passion, it truly is, and our commitment to you is to give you the care you deserve in as comfortable and effective a process as possible. 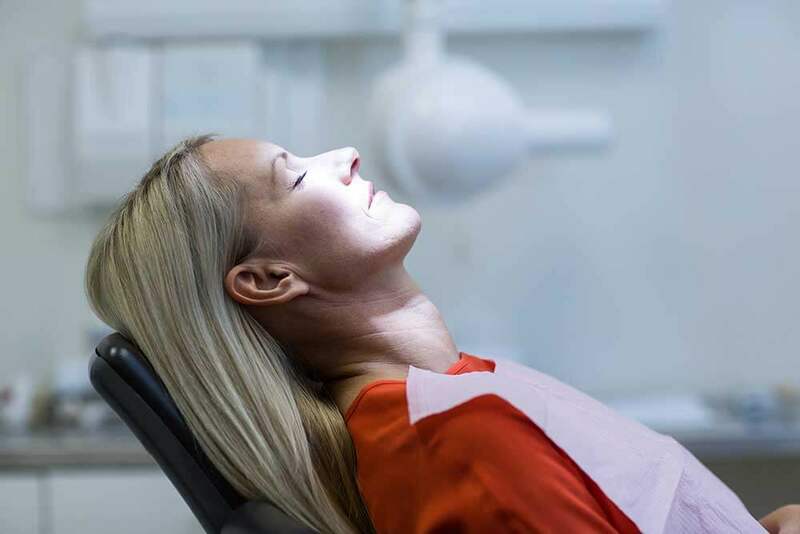 One of the ways we do that is by offering sedation dentistry services to our dental implant patients, including oral conscious, nitrous, and IV sedation. Sedation is a safe, effective method of helping you relax while we take care of your teeth, so you can focus on what’s important: your new, beautiful smile. Going to the dentist makes you feel nervous, anxious, or uncomfortable. You want to feel at-east and at-home during the surgery. You want to get more done in less visits. You want a solution that is tested, effective, and completely safe. As a CEREC Doctor mentor, an associate professor of CAD/CAM dentistry at UF, and an implant dentist with over 400 hours of post-doctorate implant training, you would be hardpressed to find a more qualified provider in Florida. The reasons why our patients choose us run deeper than Dr. Jockin’s qualifications, though. No matter what dentist you choose to go with, whether it is Dr. Jockin or someone else, make sure you trust them. Work with the doctor you are most confident in and who you know will deliver the results you expect. You deserve it. Isn’t it better to relax and only worry about what matters the most? Wouldn’t it be better to get the same amount of work done in less visits? Explore our dental sedation services and ask us about it during your free consultation. There’s nothing to lose, your consultation is free and no-obligation.